Is Obama on the wrong side of the Honduran constitutional crisis? On September 12, the United States government revoked the visas of de facto Honduran President Roberto Micheletti and 14 of the country’s Supreme Court justices. Days earlier, the Millennium Challenge Corporation, a U.S.-government body, voted to cut off $11 million in aid to the cash-strapped Central American country. The move came two months after the Honduran military, on the orders of its Congress, Supreme Court, and attorney general, removed Micheletti’s predecessor Manuel Zelaya from office following his repeated attempts to undermine the country’s constitutional provision limiting presidents to a single term. Explaining its decision to not recognize Honduras’s interim government, which it has repeatedly declared came to power via a "coup d’état," the Obama administration says that it is sending a "very strong message" to "anyone, be they civilian or military, who are thinking of deposing or removing from--illegally removing from office a duly elected president in any country." Yet according to a recently released and widely overlooked report drafted by the Library of Congress, the actions the Honduran government took in removing Zelaya were consistent with that country’s constitutional procedures. Although the constitution does not contain specific information as to how a president can be impeached, the report did find that the Honduran Congress "used several other constitutional powers to remove President Zelaya from office." Furthermore, the report also found that the country’s "Supreme Court, based on its constitutional powers, heard the case against Zelaya and applied the appropriate procedure mandated by the Code of Criminal Procedure." In conclusion, the report, which was prepared by the Congressional Research Service’s Senior Foreign Law Specialist, determines "that the judicial and legislative branches applied constitutional and statutory law in the case against President Zelaya in a manner that was judged by the Honduran authorities from both branches of the government to be in accordance with the Honduran legal system." In other words, far from fitting the administration’s description as a "coup d’état," the report paints Zelaya’s removal as remarkably orderly and legalistic, especially in a region where the rule of law is so tenuous. The Obama administration’s position, predicated on its hasty conclusion that Zelaya’s removal was illegal, now appears squarely contradicted by the only known official analysis of the constitutional issues involved. Zelaya’s rights may have been violated in his deportation; according to the Honduran constitution, "[n]o Honduran may be expatriated nor handed over to the authorities of a foreign State." But the government’s expulsion of Zelaya (a hasty move undertaken to prevent internal disorder, which, in light of the chaos Zelaya is currently orchestrating out of the Brazilian embassy--where he has camped out since sneaking back into the country last week--wasn’t unfounded) does not negate the validity of the original order that led to his arrest and removal from office. 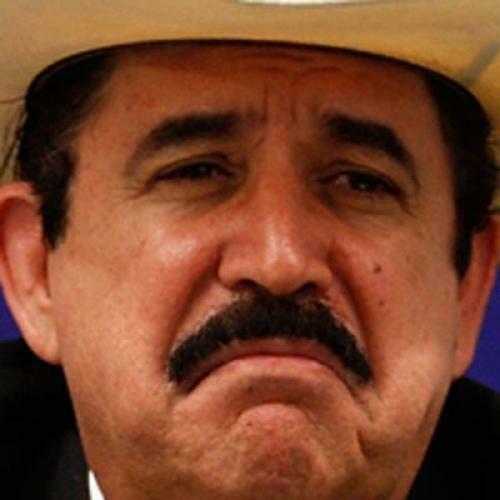 From his headquarters in the embassy, Zelaya has called upon his supporters to riot against the government and has accused "Israeli mercenaries" of torturing him with radiation. His supporters are not only calling for a boycott of the elections scheduled for November 29. They are also calling for a "constituent assembly" to write a new constitution--the same constituent assembly that Zelaya tried to press ahead with after the Supreme Court ordered him to cease and desist, which is how this crisis began. What explains the administration’s continued intransigence? A clue can perhaps be found in President Obama’s initial response to the news that Zelaya had been deposed. The day after Zelaya was put on a plane to Costa Rica, Obama condemned the move as illegal, saying that "it would be a terrible precedent if we start moving backwards into the era in which we are seeing military coups as a means of political transition rather than democratic elections. We don't want to go back to a dark past." His invocation of U.S. support for armed opposition movements fighting communist insurgencies in Latin America during the Cold War is one of numerous apologies for past American actions that he has offered since taking office, a tactic which seems to be a core tenet of his diplomatic strategy. Whatever the motivations that underlie the administration’s policy on Honduras, it has proven to be a failure. Over three months after Zelaya’s ouster, the country remains in a condition of protracted stalemate, with the government digging in its heels, Zelaya and his violent supporters similarly refusing to budge, and most Latin American countries declining to recognize the wishes of Honduran civil society, government institutions, and the vast majority of its people. Rather than supporting the integrity of Honduras’s constitutional process, the United States finds itself on the same side as leaders like Hugo Chavez and Raul Castro. The events of the past several months reveal a lack of consistency in Obama’s approach to various foreign conflicts. How does this administration justify its recognition of results of elections in Pakistan, Iraq, and other countries mired in constitutional disputes, but now refuse to recognize an election in Honduras, even if it is conducted in a free and fair manner? And why give greater diplomatic dignity to the representatives of Iran--who have no legitimacy whatsoever--and not those of democratic Honduras? Even after blatantly stealing the presidential election, the White House referred to Ahmadinejad as the "the elected leader" of Iran (which White House spokesman Robert Gibbs later had to retract). In the immediate wake of Honduras’s constitutional crisis, it was understandable that the administration, caught by surprise, might jump the gun in its denunciation of the military action as a "coup." Now, three months later and with legal repudiation from within its own government, U.S. policy has become a mistake in search of a rationale.